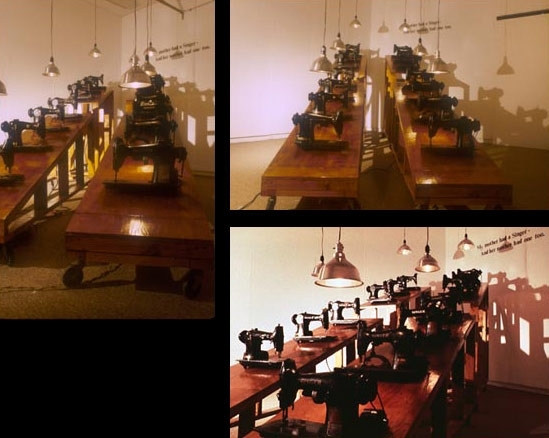 Running under low lights, these sewing machines represent the spectacle of the sweatshop and its relationship to the home. This piece is an investigation into and display of the mechanical means by which women have been able to earn income and create objects of utilitarian pleasure. It also refers to the potentially exploitative environment of the industrial and domestic workplace.